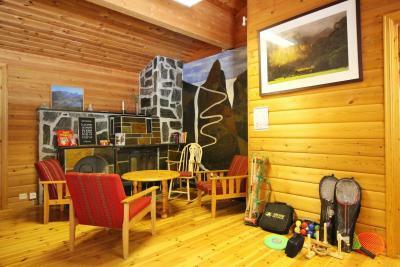 Lock in a great price for Trollstigen Resort – rated 8.6 by recent guests! Very good location. Very clean and comfortable cabin. The view is outstanding!! We enjoyed very much the stay. Cabin sytle and location. They have grill and log for outside cooking. 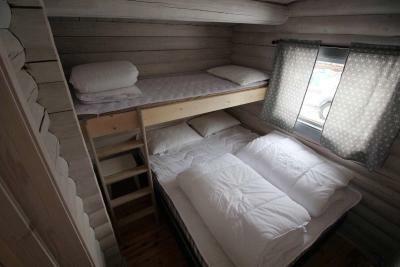 Updated, clean, spacious, comfortable cabin with WiFi. 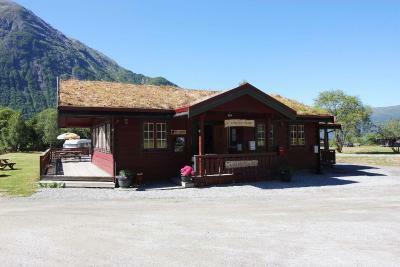 good location close to trollstigen and åndalsnes, we had the largest cabin and it was good, good kitchen. There is a good scenic view of mountain around the accomodation. Cute little camping cabin. We stayed in the absolute smallest of all the cabins, but we had a blast sitting around a fire at night, looking up at the stars. Gorgeous environment. I can't rate the staff as we did not meet any of them (we were staying there outside the main tourist season), but checking-in and out was very easy. Beautiful location and view. Communication was excellent. 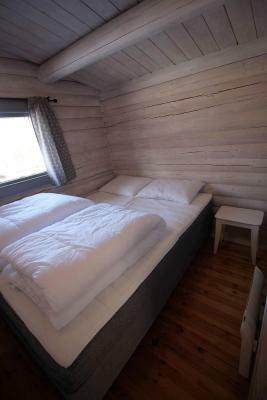 Cozy but comfortable 2 bedroom cabin. Great cabins in awesome location. Highly recommended! 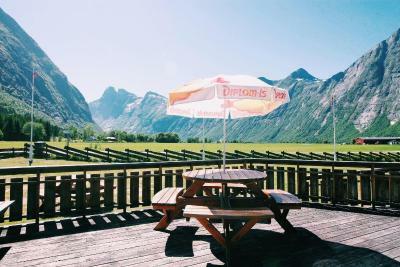 Located in Åndalsnes, Trollstigen Resort has accommodations 22 mi from Kylling Bridge and Vermafossen waterfall. Free WiFi is provided. The campground offers a barbecue. 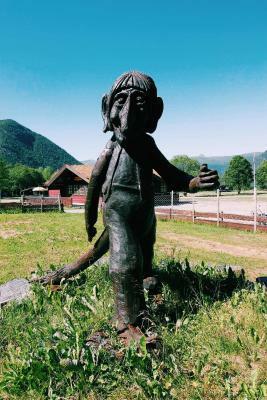 The nearest airport is Molde, Årø Airport, 21 mi from Trollstigen Resort. 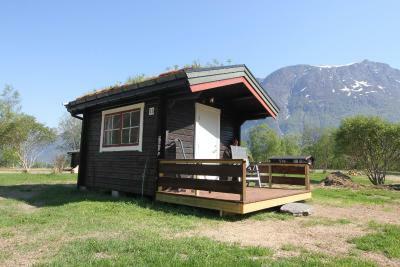 This property is also rated for the best value in Åndalsnes! Guests are getting more for their money when compared to other properties in this city. 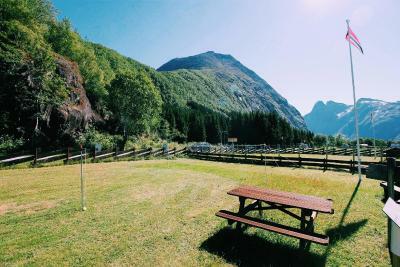 When would you like to stay at Trollstigen Resort? This bungalow has a balcony, electric kettle and oven. This bungalow has a balcony, electric kettle and private entrance. This bungalow features a stovetop, electric kettle and private entrance. This bungalow has a balcony, oven and electric kettle. 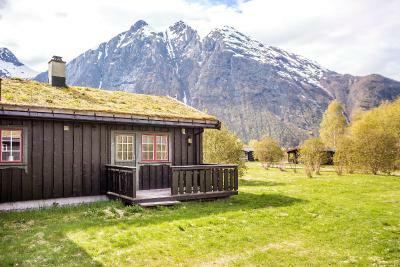 House Rules Trollstigen Resort takes special requests – add in the next step! 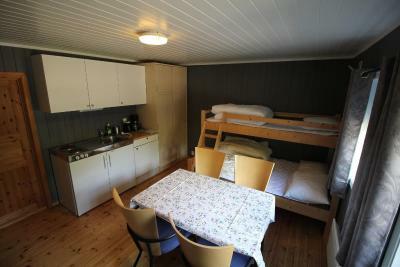 All children under 16 years are charged NOK 100 per night for extra beds. 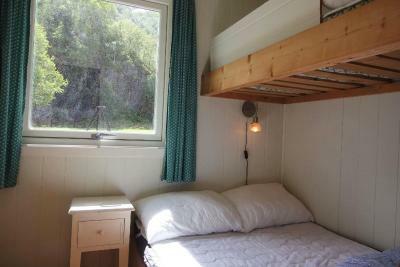 Any additional older children or adults are charged NOK 100 per night for extra beds. Debit card Trollstigen Resort accepts these cards and reserves the right to temporarily hold an amount prior to arrival. Trollstigen Resort accepts these cards and reserves the right to temporarily hold an amount prior to arrival. Bed linen and towels are not included. 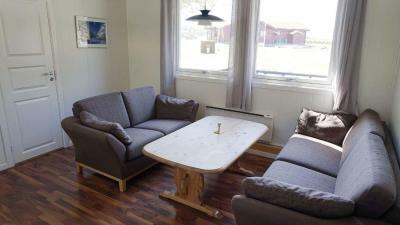 You can rent them on site for 50 NOK per person or bring your own. 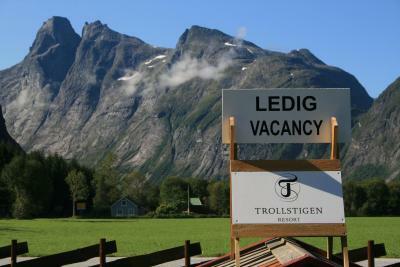 Please inform Trollstigen Resort of your expected arrival time in advance. You can use the Special Requests box when booking, or contact the property directly using the contact details in your confirmation. How to get to Trollstigen Resort from "Molde Airport, Årø"
We spent 8 days in Norway and Trolstiggen Resort is better than 4* hotels in Trondheim or any other accomodation we took. Any time we are in Norway again we will surely going to choose this one again! Would recommend to anyone. Prices are wonderful. Hopefully they won't increase them. Everything was perfect so I have nothing to complain about. The best place to stay in Norway. Great view from camping. 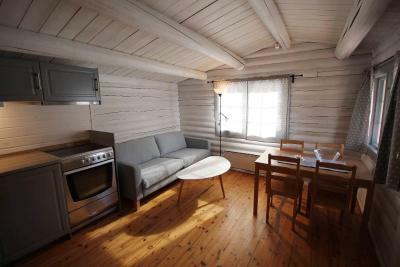 Cabin is very cosy and clean. Everything is new and well equipped. Good quality of wi-fi connection. There are place for hearth near every cabin. Fantastic place! I will definitely come back! Shiny clean and cosy. Note that you have to pay for bed linens and towels, as well as cleaning at the end of your stay (we chose to clean the cabin ourselves as we were only there one night). 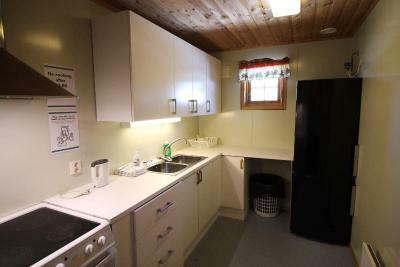 The cabin was clean and tidy, if a bit smaller than expected. 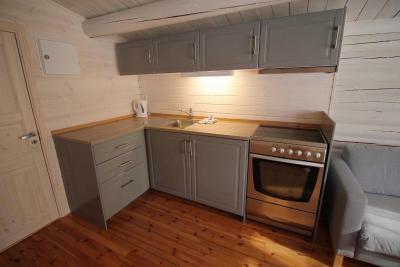 The kitchen was well-equipped with dishes and cutlery, though no spices. We grilled our dinner in the fire pit next to the cabin. Firewood is available on-site. Location is city center, and family room is roomy. The equipment is too light for the price, compared with other comparable places (no micro wave, no coffee cups, no bowls, etc). Brand new or renovated place. Piece of mind.